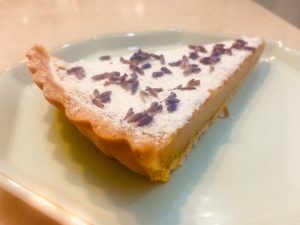 Is there anything better than a delicious slice of lavender tart with earl gray custard in winters paired with a solid cup of coffee? We think not! This is a quick DIY Recipe that will create the most scrumptious tart! 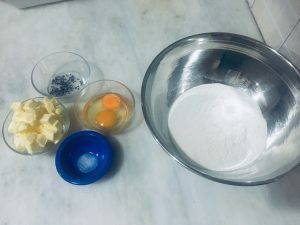 In order to prepare the piecrust for your DIY Recipe, combine flour salt, lavender petals and butter. 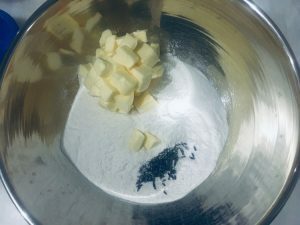 Mix using your hands or a pastry blender and then add in sugar. 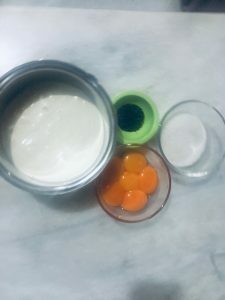 Once large crumbs begin to form, whisk egg yolk and egg separately and add to flour mixture little by little mixing after each addition allowing the dough to come together. 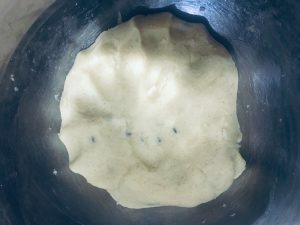 Once the dough starts to come together and forms a ball stop adding the egg mixture. 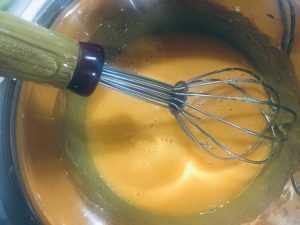 You will not need to add the entire egg mixture so add this sparingly, ensuring that it is well combined after each addition. Once all ingredients are well combined, make sure not to over mix, form the dough into a ball and flatten it out. 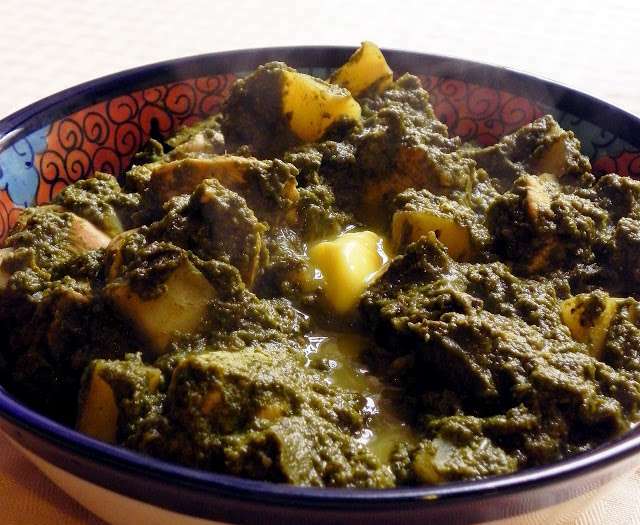 Wrap this in a cling wrap and keep in the fridge for 30 minutes. After thirty minutes, clean a work service and lightly dust it with flour. 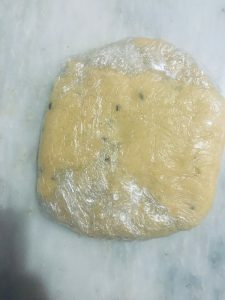 Remove the dough disc from the fridge and place it on your work service. Keep a pie dish at hand to line with rolled out pie dough. Lightly dust the rolling pin with flour and with clean strokes work your way around the dough, ensuring to flatten it evenly to about 2.5mm in thickness. Once the dough is rolled out, line the pie dish with it. Poke holes into the dough with a fork and place the lined dish back into the fridge for an additional ten minutes. Preheat oven to 177 degree Celsius. Remove lined dish from the fridge, place a parchment paper on it. You can either put pie weights on your lined pie dish or raw rice to prevent your pie from forming air pockets. Place your prepared pie dish into the oven and set the timer for 17 minutes. 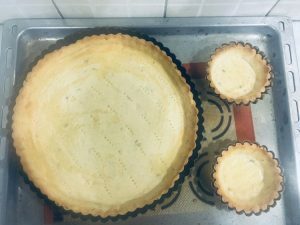 Once done, remove the pie weights and parchment paper and return pie dish to the oven for an additional 3-4 minutes to ensure that the crust cooks through. Once done, remove this from the oven and lower the temperature of the oven to 117 degree Celsius. To prepare the custard, combine milk , cream and half the sugar and bring to a light simmer. 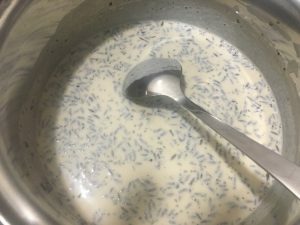 To this add Earl Gray Tea and let it infuse for five to seven minutes on very low heat ensuring that the cream does not boil over. 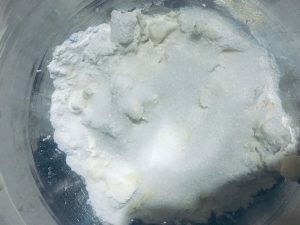 In a bowl, mix together half of the sugar and egg yolks until light and smooth. One the tea has infused, you should be able to smell it. 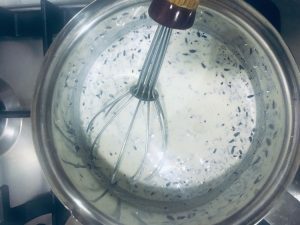 Strain the milk and cream mixture and add the strained mixture, in a steady stream whilst mixing into the egg yolk mixture to ensure that the eggs don’t curdle. 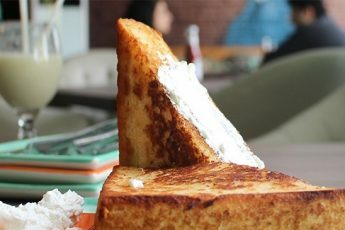 The best way to do this is to make sure that the milk is warm and not hot. Add the custard mixture, which will be quite liquid into the prepared piecrust and pop them back into the oven for half an hour. Once done, remove it from the oven, let it cool before serving. And voila! 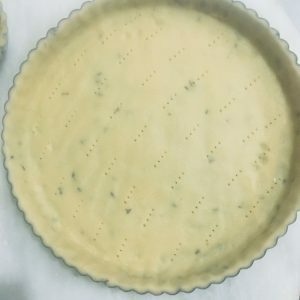 Your DIY Recipe for the perfect Lavender tart is ready to consume.